If you can get a free VIN check, you have to seize the opportunity. Being resourceful is the key, and all you need to have is the car’s Vehicle Identification Number (VIN), a laptop and an internet connection. Knowing the car’s VIN is a must so you can check the car’s background. One of the perks of being a buyer is that a seller will try to please you in any way they can just to close a deal. If you are a buyer, you can have the upper hand by making reasonable demands like asking for “freebies.” One of them is trying to get a free VIN check. One of the questions often asked by buyers is, “Does it have a VIN report?” More often than not, buyers are more willing when sellers give this away for free. The seller shoulders the cost of having a VIN check, but of course he will try to get the cheapest one as an add-on to your purchase. In that way, you don’t have to shell out money for a VIN check. VIN checks do not come cheap. The cost ranges from $10 to $40. However, you should still be vigilant because sellers can “doctor” or make up a VIN check. Make sure you’re getting the real thing. To make sure that you are making an informed decision, you can also go to VINFreeCheck for a free assessment of your car’s background history, more particularly a salvage report. Millions of cars in America are reported as salvage and sellers often try to rebuild these cars to be sold again. VINFreeCheck helps protect buyers from unscrupulous sellers who try to pass off salvaged cars as cars in mint condition. VINFreeCheck’s database is updated on a daily basis. It can provide you a car’s damage images, the title, mileage or odometer reading, the loss type if the vehicle was involved in an accident or was previously damaged, primary and secondary damages (if any). 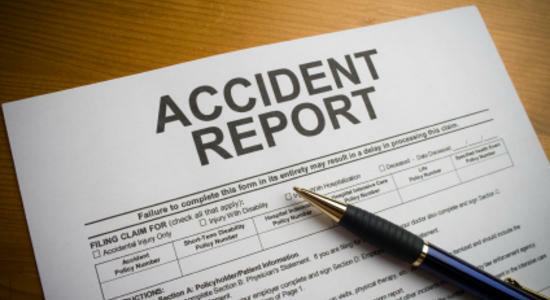 The NHTSA can provide information about recalls and salvage details. It should be considered mandatory to check this. Nobody wants to have a defective car. You can subscribe to the website’s notification system by signing up. Click on the tab “vehicles” and a drop down menu will make you choose the car’s year, make and model. Just click away and you will know if the car was the subject of a recall. Another way is to go to NICB’s website to check for theft and fraud records. If you are the adventurous type, maybe you wouldn’t mind having a car that was involved in a bank heist for a lower price. But that is not always the case. Checking the car’s history will let you know if the car was involved in a theft. You might be buying a car that is in the custody of a court, meaning, a car used in a crime which has to be under the court’s custody for evidence.